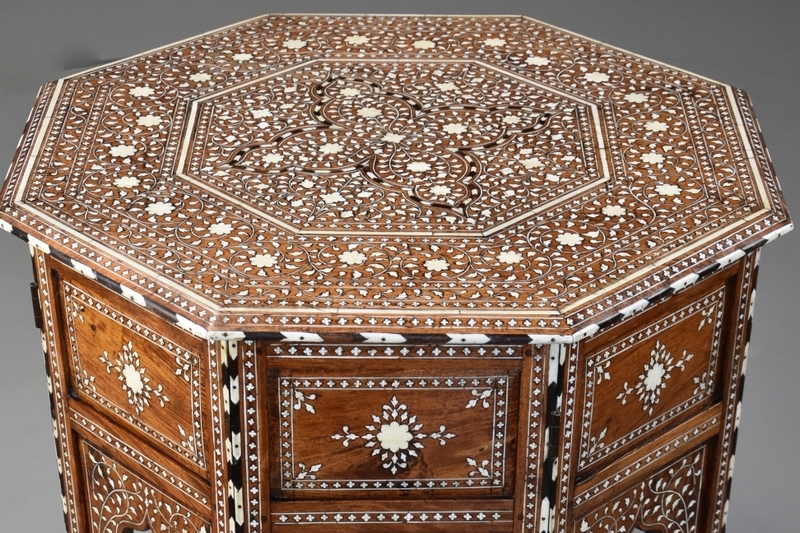 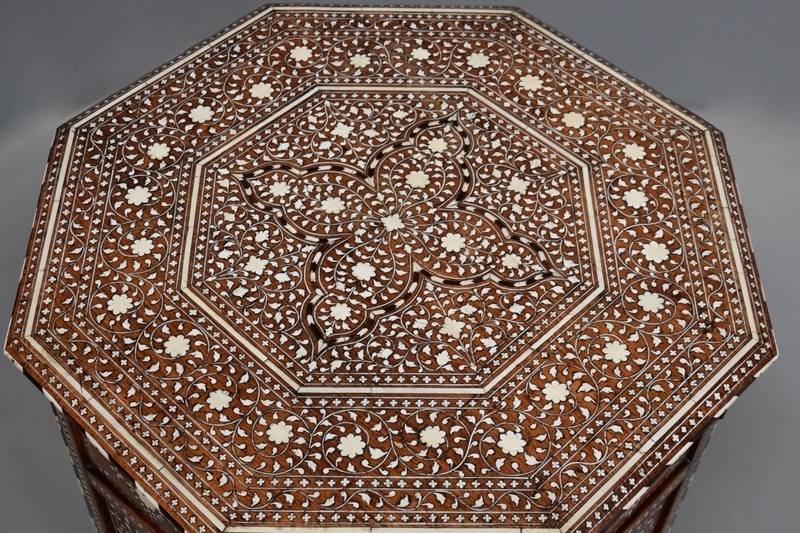 A superb quality and highly decorative late 19th century Anglo Indian profusely ivory inlaid hardwood octagonal table with folding base probably from the Hoshiarpur area in the Punjab, this area being renowned for their superb and intricate inlay work.This table consists of an octagonal top with central inlaid panel of floral and foliate ivory decoration with ebony and ivory chevron border, ivory stringing and various patterns of floral and scrolling foliate inlaid ivory decoration with inlaid quatrefoil borders and a moulded edge of inlaid ebony and ivory chevron design.This leads down to the eight sided folding base of Moorish influence, each side having quatrefoil ivory inlaid decoration, the top sections having rectangular panels with inlaid ivory floral and foliate decoration, the lower section having an arcaded design also with inlaid foliate decoration. 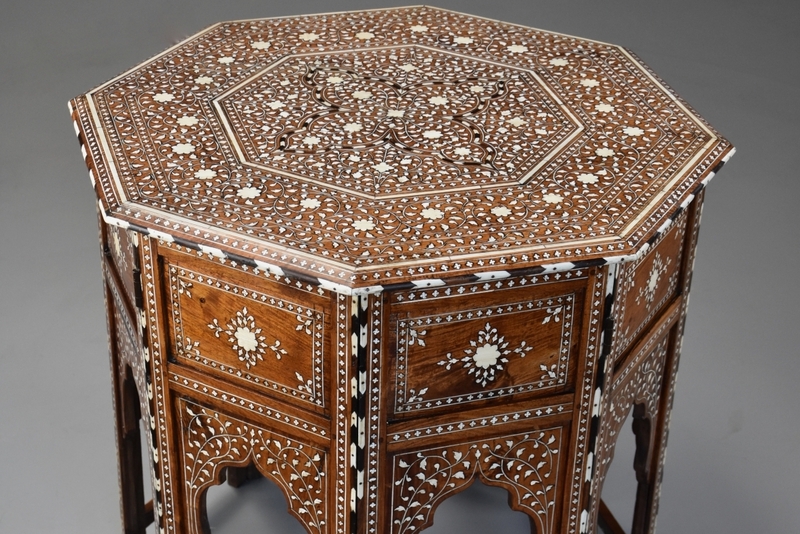 Although the base folds, once the top is placed into position the table becomes stable and rigid for use.The Moorish style of furniture was very popular in Europe during the latter part of the 19th century with many areas in India producing similar items of superb quality, similar tables were sold by Liberty of London during the later 19th century. 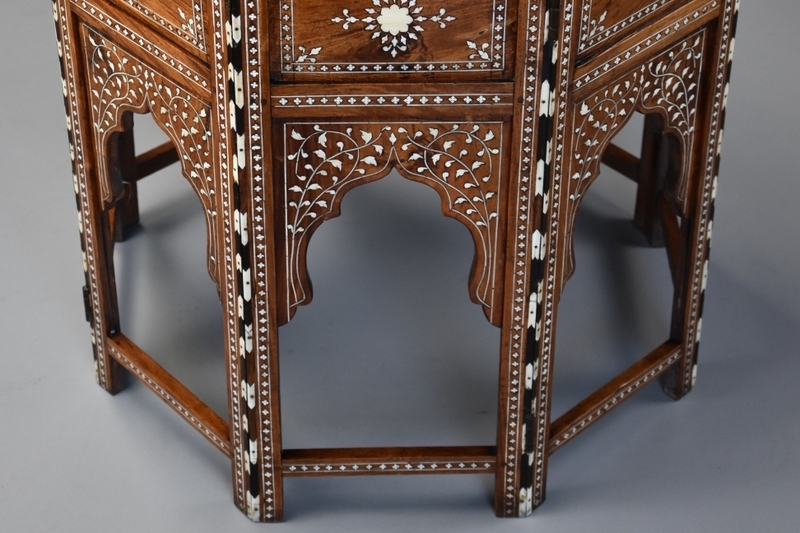 This decorative table is in excellent condition for age, is of stable construction and can go straight into a home.